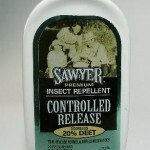 PRODUCT DESCRIPTION: The introduction of Controlled Release technology marks the most significant improvement in Insect Repellents since the advent of deet. 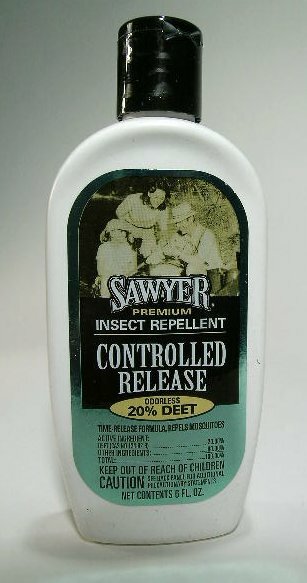 Controlled Release 20% Deet Insect Repellent Lotion is a LOW DEET ABSORPTION FORMULA so it stays where applied and lasts longer. It's Non-greasy, has no alcohol, and is odorless. One application of Controlled Release formula can be effective for up to 11 hours against mosquitoes (including the transmitter of West Nile Virus ) and 17 hours against ticks. WHERE TO USE IT: On your skin. RATE OF APPLICATION: Generally 1-2 applications a day is usually all that's needed.